Gameweek nine of the Premier League kicks off on Friday night when West Ham host Brighton. On Saturday, Chelsea will be hoping to bounce back from last weekend’s shock defeat against Crystal Palace, while Manchester United will look to return to winning ways against Huddersfield and Manchester City aim to continue their hot streak when they entertain Burnley. On Sunday there are two cracking matches to look forward to with Arsenal visiting Everton, before Tottenham and Liverpool go head to head at Wembley Stadium. West Ham were forced to settle for just a point at Burnley last Saturday after a late Chris Wood finish cancelled out Michail Antonio's first-half goal. The Hammers played the majority of the match with 10 men after Andy Carroll was sent off for two bookings in quick succession for the same offence of using his elbow. Slaven Bilic’s men will return to the London Stadium where they’ve won three of their four matches played. They recorded wins over Huddersfield, Bolton (Carabao Cup) and Swansea and conceded just three goals – all of them in a 3-2 defeat by Tottenham. Brighton also conceded a late goal to draw 1-1 at home to Everton last Sunday. The Seagulls are yet to win away from home this season. They’ve lost three of their four matches, shipping six goals while scoring just once. Get on the Hammers at 8/10. Antonio Conte’s men suffered a humiliating 2-1 defeat away to bottom side Crystal Palace last Saturday. The loss was Chelsea's second in a row following on from their 1-0 defeat at home to leaders Manchester City. Conte will demand better from his players and won’t settle for anything less than three points against Watford. Alvaro Morata, who has scored six league goals for the Blues, will return from injury which will be a huge boost for the champions. Watford come into this match high on confidence following their stunning 2-1 win at home to Arsenal. The Hornets have impressed under Marco Silva this season, sitting in fourth place with two points above the Blues. They’re unbeaten on the road, having picked up wins against Bournemouth, Southampton and Swansea while most recently earning a late draw against West Brom. Chelsea completed a league double over Watford last season, but the Hornets scored in both of those meetings. I’m backing Chelsea to Win & Both Teams to Score at 18/10. Huddersfield were beaten 2-0 away to Swansea last Saturday, courtesy of Tammy Abraham’s double. That was the Terriers’ second loss in a row following their 4-0 defeat at home to Tottenham. David Wagner’s side are now winless in seven competitive matches, losing four times. They’ve failed to find the net in four matches, shipping seven goals. Manchester United were outplayed by Liverpool last Saturday, but they still managed to earn a draw at Anfield. Jose Mourinho’s side are unbeaten in the league with six wins from eight games, scoring 21 goals while conceding just twice. Back the Red Devils to return to winning ways. Manchester City were in rampant form as they thrashed Stoke City 7-2 at the Etihad last Saturday. The win equalled City's best start to a top-flight campaign, winning seven games and drawing one, a feat they last achieved in 2011-12, when they went on to claim their first Premier League title. Pep Guardiola’s side have been ruthless in attack, scoring 29 goals while also being rock solid in defence, shipping four goals and keeping five clean sheets. Burnley capitalized on Andy Carroll’s recklessness and earned a late 1-1 draw against the 10-man Hammers. Sean Dyche’s side have been impressive away from home this season. They picked up wins against Chelsea and Everton while holding Spurs and Liverpool to draws. I’m confident City will win, but I fancy the Clarets to get on the scoresheet. Take City to Win & Both Teams to Score at 27/20. Newcastle took the lead twice only to be held to a 2-2 draw at Southampton last Sunday. Rafael Benitez’s side are winless in three matches and will look to return to winning ways against bottom-of-the-table Crystal Palace. The Magpies are unbeaten in their last three matches at St. James' Park, beating West Ham and Stoke, before earning a draw against Liverpool. 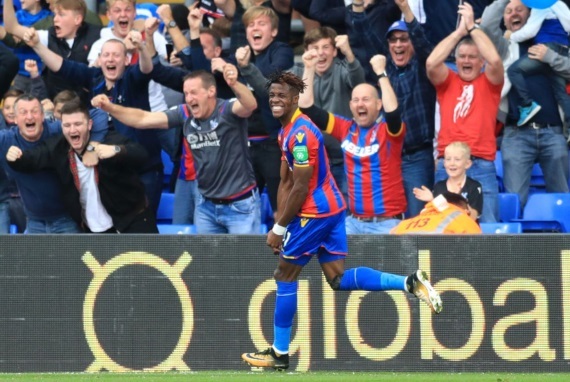 Wilfried Zaha‘s return propelled Crystal Palace to their first goals and points of the season in a shocking 2-1 win over Chelsea at Selhurst Park last Saturday. The result ended a seven-match losing run for the Eagles and Roy Hodgson will be looking to build on that performance. However, Palace haven’t won on their last five trips to St. James' Park, failing to score in four of those games and losing three times. The home win is tipped at even money. Stoke will be looking to put last weekend’s 7-2 thrashing by Manchester City behind them. Mark Hughes’ men will welcome the return to the bet365 Stadium where they beat Southampton 2-1 before the international break. The Potters have also beaten Arsenal on their turf and held Manchester United, before losing 4-0 to defending champions Chelsea. Bournemouth remain second bottom in the league with four points from eight games after their 1-0 loss to Tottenham. The Cherries have lost all four of their away matches, shipping seven goals while scoring just once. I’m backing Stoke to claim all three points. Swansea earned their first home win of the season by beating Huddersfield 2-0 last Saturday thanks to a brace from Chelsea loanee Tammy Abraham. Paul Clement’s side endured three opening home defeats for the first time, so three points were certain to be a relief, plus moving out of the relegation zone. The Swans will be hoping to build on that result against Leicester who are in 18th place and yet to win on the road. The Foxes’ winless run in the league extended to six matches as they drew 1-1 at home to West Brom. Craig Shakespeare will be hopeful his team can end their poor run of form against the Swans, having beaten them four times in their last five meetings. If you must have a bet on this game, back the away win at 33/20. Manolo Gabbiadini's double rescued Southampton as his side twice came from behind to salvage a 2-2 draw against Newcastle. Prior to that game, the Saints had suffered three straight defeats at St. Mary's Stadium, shipping five goals without finding the net. Mauricio Pellegrino’s men will be desperate to put an end to their poor home form and secure maximum points against West Brom. Tony Pulis' men beat the Saints 2-1 on their turf last season, but the Baggies have been dismal, failing to win in their last seven matches. I’m backing the sides to cancel each other out. Wayne Rooney rescued Everton with a late penalty to secure a 1-1 draw at Brighton last Sunday, but their woeful performance will do little to ease the mounting pressure on Ronald Koeman. The Toffees remain only three points clear of the relegation zone with just eight points from their opening eight games. Arsenal’s poor away form continued as they slumped to a 2-1 defeat against Watford last Saturday. Arsene Wenger’s side are yet to win away from home, losing three times, shipping seven goals while scoring just once. The Gunners have won four of their last five meetings against the Toffees and I’m tipping them to come away with maximum points.